Act NOW and Save $330! 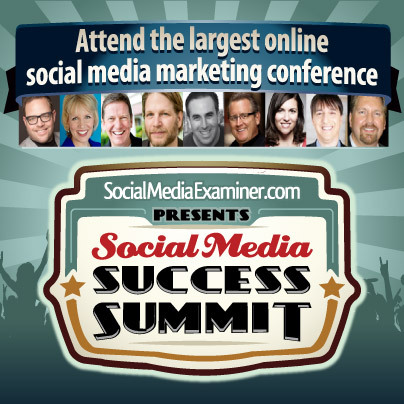 Attend the 5th Annual Social Media Success Summit. Forty-five of the worldâs leading social media pros will show you how. and experts from General Electric, Sony, E! Online, Kelly Services and Discovery Channelâjust to mention a few. I constantly spent my half an hour to read this website?s posts all the time along with a mug of coffee.